I have paired my galaxy tab gt-p6210 with computer, my goal was to listen my music over my pc speakers with my tab. When i manually try to turn on bluetooth media audio on bluetooth settings in my tab it connect’s but immediatly it disconnect’s again and i can’t get it to work. I also have a galaxy s3 and with that it works perfectly. Tried everything, make new bluetooth connection, factory reset the tab, nothing! Really hard to find the right answer on the internet to. Im out of options right now. Hope anybody could help. Thanks. I’m sure many others are facing the same types of issues, so helpful to know how you resolved yours. Hello there, First of all 10Q for your help. I have problem with my laptop bluetooth. It couldn’t be discovered and couldn’t find any device since i purchased it. Please if you have solution for this notify me. I have a Logitech Model: S-00096 (Z515) Bluetooth speaker. It is paired with my HP Windows 8.1 laptop. When I turn the laptop & speaker on a second time, only the laptop speaker works. The Logitech speaker still shows as paired. I have to remove the speaker then re-install it to get it to work. I was under the assumption that when I turn them both on again, the speaker is automatically picked-up by the last device that it was paired with. As I am a PC novice, would you make your reply concise please. Thanks bundles. Is your laptop the only device your Bluetooth speaker is paired with? 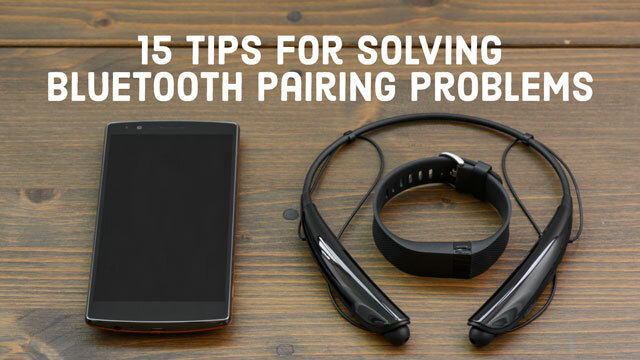 Even if the pairing is still in place, both devices need to know you still want them to connect. So if your laptop wasn’t the last device to pair to the speaker or you paired you laptop with another Bluetooth device, that could be the problem. I bought a second UE boom two weeks ago and made the lastet firware upgrade. Since then I have lots of connecting problems with my IPhone 5s. The second UE boom is shown on the Bluetooth devices but no connection is made. Is there a way to downgrade the firmware or reste the firmware to factory settings? It doesn’t look like you can revert to the previous firmware (http://www.ultimateears.com/en-us/boom/support). Do you have the UE Boom paired to more than one device? It can be paired simultaneously with two devices, so you can easily switch between them. If so, you may want to try unpairing from all of the devices and then repairing, starting with your iPhone 5S. Otherwise, you may want to try their support number They do list a support number you can call: 646-454-3200. Hi there, I have also just updated my two UE Booms and now cannot pair them with either my iphone 5s or my macbook pro. I’m glad to see it isn’t just me, but am very frustrated. I’ve sent UE Boom a facebook message as I’m not in America so can’t ring the phone number, but am very interested as to the reason it isn’t working. If you hold the Volume down (-) button and the power button for 10 seconds you will hear a noise meaning the UE Boom has been reset. when you try turning them on next they will search for devices to pair with and should work. Awesome advice. Worked first time, have spent days trying to sort. This worked. If you have the Boom try this first! After hours of frustration, found your post and it worked for my 4 ue booms, Why isn’t this on their website? You are very much welcome. Have a great and blessed day!!! I have a Samsung Galaxy S3 phone and I just bought a Targus Bluetooth Stereo Headphones TA-51EB-BT. I have never used bluetooth before. From what I have read above the two devices must not be compatible due to operating systems. Is there a way to change the system in the phone to accommodate the headphone? The phone just upgraded and everything changed on the phone. It was a Samsung upgrade. I am surprised that it was not upgraded enough to accommodate the headphones. What can I do to fix this short of getting a new phone? Your headphones should be compatible with your Galaxy S3. 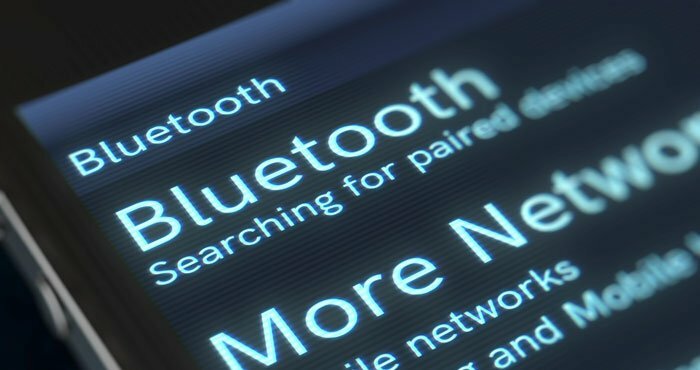 Does your Galaxy S3 find any Bluetooth devices when you search for devices in the Bluetooth settings menu? I haven't tried anything else. I haven’t tried anything else. Don’t own anything else. I have an iPhone 6+ and in my car a Chinese GPS DVD in dash that works with Windows CE 6.0. The pairing process between both is good and no broken. I can make calls to everyone without any problem that i can talk and hear fine. But when i received a call phone during travelling and i want to answer (clicking in the right icon in my car device) an error message always happen and there is no way to make the communication. This issue is happening when my wife that has an iPhone 4 wants to call me, but it also happen when my kids (that have iPhone 6) wants to make me a call. What will be really happening?. May somebody help with this?. I have an iPhone 6+ and in my car a Metra MDF-7873-1. But when i received a call phone and i want to answer (clicking in the right icon in my car device) an error message always happen and there is no way to make the communication. none of this was useful. I got a new Samsung tab s, it isn’t detecting my platronics sport headset. My tab s wont detect any other bluetooth devices. Bluetooth is on, on everything. Please help. I bought a Bluetooth keyboard to go with my tab 4 and it showed everything should be paired perfectly however the keyboard was not responding so I tried the airplane mode on and off and re paired the device and it works thanks so much I had to Google my issue to find you. Thanks again very happy. Glad our tips heled you to resolve your issue! My phone pairs automatically when I enter the car and disconnects when I leave it but the phone peaker then stops working. I don’t hear any ring tone if someone calls and if I make a call, I can’t even hear the other person’s phone ringing. What am I doing wrong? Could someone please tell me why I can not sync anything to my Blu Studio 5.0 c hd smart phone. Article not helpful at all because.. Article not helpful at all because I need to know why a bluetooth connection (to speakers via a Logitech BT Adapter) that worked yesterday won’t work today, with no change, except that I connected my MacBookPro to a different speaker, one which does not need an adapter. Bluetooth is a damn headache, a matter of luck. I’ve returned quite a few bluetooth devices, because not even the electronics shop assistants could help. Recently bought a Samsung S6, trying to connect to JBL Bluetooth speakers. JBL is being detected in the Samsung and even the pair is ON, however, not able to play the music in JBL speakers. is there any activation process?? Have you tried turning the volume up? I know of at least one speaker that sets the volume all the way down when it is first paired with a new device. Have you tried turning the volume up on both the speakers and in the phone’s bluetooth settings? Well its been a week since i couldn’t connect my phone with the car’s tv,that day i connected it with my Tv and later on i disconnected it from my phone directly instead of using the tv and since then it is unable to connect. I went through your procedures but when i connect it to my tv and pass key shows i try to pair but then it says unable to pair and a new Passkey pops up i connect it with that but the result is still negative. Please help, its been only two months since i bought the car and not able to connect it with my phone is devastating. My bluetooth headset pairs fine, but when I use two monitors, sound goes through the second monitor instead of the headset. Any way to fix this in the settings? Did you follow the steps in our article? I’m not clear from your comment whether you can’t get Bluetooth to turn on on your phone and you can’t get it to connect once on. If it is a connection issue, follow the steps above and see if that works. 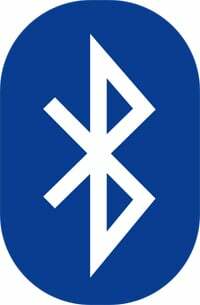 If Bluetooth isn’t turning on at all, I recommend you back up your iPhone and then do a factory reset. Hey Josh, thanks for the idea. It is my phone that the Bluetooth will not turn on on. NOW….neither will my Wi-Fi…..I would back up, but no Wi-Fi…it would do it automatically if I had Wi-Fi…...so..any other thoughts?? If you have’t backed up to iCloud in a while, you can backup to iTunes your computer via the cable - plug it into your USB drive. But if you recently backed up to iCloud, then backing up again isn’t as important. Do the reset and see if that takes care of your issues. Did the reset….no change. Wi-Fi will still not turn “on” on phone nor will Bluetooth. Sometimes I just HATE technology!! If you’ve already followed all the steps suggested in the thread, you will probably have to take the phone in for repair. Hopefully, Apple won’t charge for the fix or won’t charge much. Else, you’re better off getting a new device. Thanks Josh. I appreciate your assistance. looks like I need to find the closest Apple store!! I had search multiple sites and never saw that on the Apple site. Thank you. Is there a Bluetooth radio I can pair my Bluetooth headphones for privately listening ? Please help me to connect my Iberry Auxus one moble to wireless Bluetooth headset device (syska brand). I trying to connect but he didn’t shown on my mobile. And after some time blibk msg that no any device found connect. Please advice me to connect Bluetooth headset device on my phone. windows laptop and windows phone both os 8.1 gave up trying to get the passcode from the phone accepted, what a load of crap bluetooth is, or is it windows? life too short for this nonsense. Hi. I have a Vodafone Smart Tab 3G I’m trying to pair with a Bluetooth headset; I find the headset that came with it cumbersome to deal with. My tab foes not see the headset at all. I’ve tried the aeroplane mode etc and still nothing. Your help I’ll be highly appreciated. I had a cheap bluetooth adapter ,it worked fine with my PSYC headphones ,losing sound every now and then. I decided to get the Dynamode CSR 4.0 for better quality. Problem is it doesn’t pick the Headphones,the image of the headphones even vanishes in the sound.After trying everything I put back in the cheap bluetooth adapter and the headphones reappeared .I don’t understand. I am using windows 10.Can anyone help please.Thanks in advance . My Samsung S4 & UE Boom have the latest firmware, but (very) often, they connect, but no music comes out of the speaker. Each time, I need to soft-reset the phone for the Bluetooth speaker to work. Simply putting the phone into Airplane Mode and out again isn’t enough. I want to pair my Tzumi headphones with my Samsung Galaxy S4… I’ve tried everything. Is there any way to fix this? Is there some upgrade that needs to be done? I have been so frustrated for the last week with why my band will not pair with my phone and finally today I’m hoping I have found a solution. I went into settings, apps and started from the top force stopping them and all of a sudden my band paired and my info was updated. Hoping this is the fix! !